SO CONNECTED, YET DESPERATELY ALONE. Human touch is a basic component required for us to communicate our intent, emotions, and our love. Without this we are left to fill in the gaps of what people actually mean rather than what we project onto the message. More and more we are becoming accustomed to a new way of being alone together in a technological cocoon that covers up our real pain, shame, and ego games. Speaking our inner truth becomes a huge hurdle to overcome. Our true essence is hidden behind facades that we show to the world for fear of being judged, criticized, and rejected. This brings us out of a natural state of healthy balance, is the root cause of disease, high divorce rates, family conflicts, war and creates the segregation experienced worldwide. #Loneliness is a global call for people to redefine themselves in the face of life’s greatest challenges. Comforting, moving, and spiritually practical, this book is a guide to help people break through their apparent loneliness, awaken their hearts true calling, speak their truth, honour their soul, and center their being. This is a journey we must all engage in to create heaven on earth, save us from oblivion, and shift us toward crowd-nurtured world peace and the next stage in our evolution. “I believe that attaining a state in our mind that is blissful is what paves the way for us to unlock, listen, and use our hearts intelligence to create a global coherence that shifts the evolution of mankind towards a more balanced, collaborative and peaceful world. Advanced way of socialization in the digital era mimics the loneliness that resides within us and is projected into the consciousness as “fake virtual happiness” that is covered by factual lonely portrait. 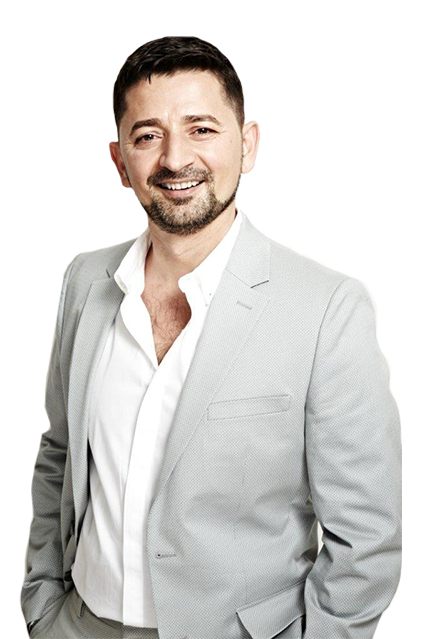 Waking up to war, living on the streets of London, climbing the corporate ladder, to award winning and bestselling author, Tony J Selimi is internationally known as the human behaviour, cognition and emotional intelligence expert to business leaders, CEOs, and entrepreneurs who seek his help to find solutions to personal, professional, and global problems. His clients range from Celebrities, MPs, Dr’s, Scientists, Therapists, Coaches, Healers, PT’s, Entrepreneurs, to Leaders and Senior Executives of companies such as Microsoft, SAP, Bank of America, Ignis Asset Management, Deutsche Bank, Ernst & Young, Santander, Vandercom and Mishcon de Reya across EMEA, Asia and USA. To read more about Tony go to www.tonyselimi.com and to get his award winning book go to www.apathtowisdom.com. Whether you prefer reading a beautifully bound 236 pages hardback, paperback or downloading a digital E-Book which is optimized for Kindle & iPad, #LONELINESS has been made available to cater for all your needs. To satisfy your curiosity, here’s just a quick summary of what you will find inside 197 pages of pure knowledge, wisdom, and guidance. Science and quantum physics acknowledges that we are energy beings and that through our HEF, we send out and receive information and absorb energy from our environment. We can now acknowledge how whatever we feel, think, and do has a direct impact on the world around us and the people we come in contact with. Want to get inspirational news and updates on upcoming events and workshops to help you learn, grow, and feel inspired? 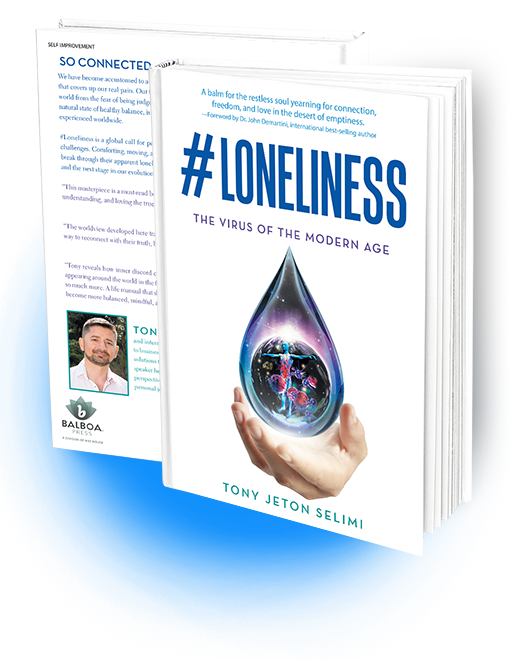 Sign up now and receive a FREE sample of the audio book #Loneliness!